I recently bought a bag of yellow pigeon peas at Costco which short of a culinary intervention could have been a lifetime supply. Thus I’ve been experimenting with variations on Indian toor dal. This soup seemed like a keeper so I thought I’d share. 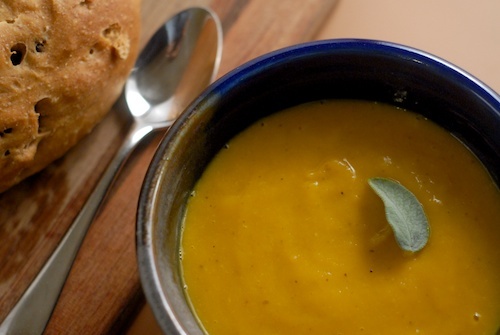 It’s about halfway between a butternut squash soup and a traditional dal. Lately I’m trying to not waste squash seeds but to cook them along with the squash and use them. They worked out well as a garnish for this soup along with chopped cilantro and a ‘tadka’ of spices briefly fried in oil. I’ve been cooking low-salt lately. For our family I didn’t add any salt to this soup and there were no complaints. I recently bought Trader Joe’s buffalo ghee, which comes seasoned with traditional Indian spices. It’s perfect for this dish, but if you don’t have it use regular ghee. 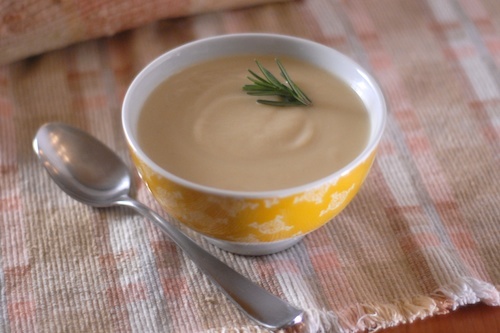 Or use vegetable oil to make the soup vegan. Cut a small or medium butternut squash in half, scoop out and reserve seeds. Cut squash into ¾" thick half-rings, then cut each half-ring into several smaller pieces. Mix seeds with olive oil, sumac, and paprika (or other spices of choice). Place squash pieces and seeds on baking sheet. Bake for 30 minutes at 400. Meanwhile put pigeon peas, coriander, and turmeric in a pot with 5 cups of water. Bring to a boil and then simmer 30 minutes. Chop onions, mince garlic, peel and mince ginger. Melt ghee in large frying pan, add chopped garlic and ginger and saute for about 2 minutes. Add chopped onion and saute for about ten minutes. Add chopped tomato and saute for another few minutes. Blend the squash with half of the sauteed vegetables and half of the cooked pigeon pea mixture. Mix the blended portion back into the pot with the rest and simmer for another ten minutes. Heat last Tbsp. of ghee, add the red pepper flakes and cumin seeds and let sizzle briefly (about a minute) to make the tadka (spice garnish). Stir the coriander into the soup, reserving a little for the garnish. 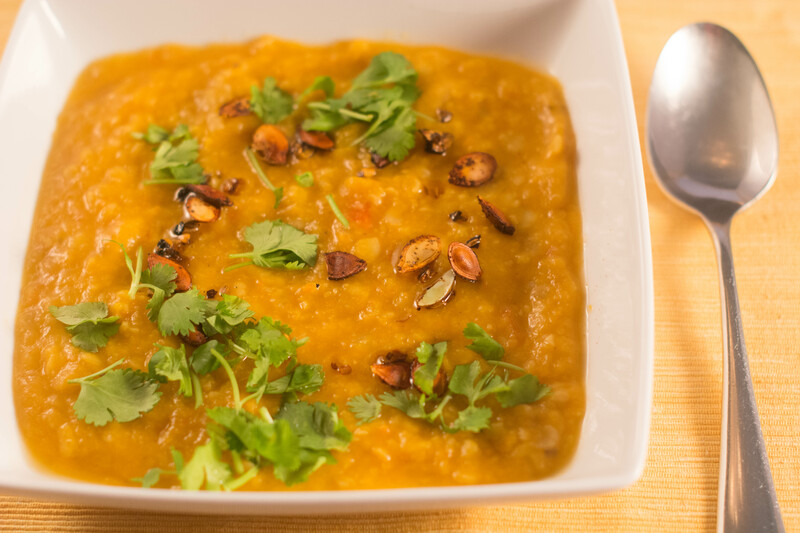 Serve soup, top with tadka (as desired for extra spiciness), squash seeds, and coriander. Linked for Meatless Monday with Confessions of a Mother Runner and A Whisk and Two Wands. Butternut Squash and Pear Soup A sweet and savory butternut squash pear soup for fall and winter meals. 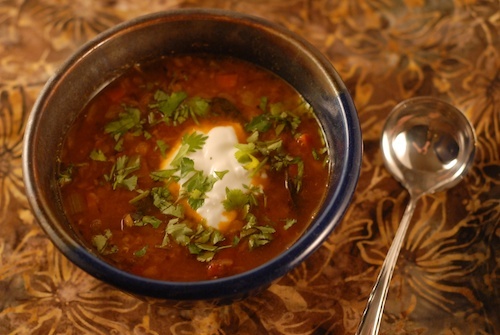 Dal-Inspired Red Lentil Soup This spicy lentil soup straddles the difference between American lentil soup and Indian dal. I love squash!! Thanks for sharing! YUM! This totally made my mouth water. Great, give it a try! OK, I’ll to to get that figured out, haven’t done a linkup in a while, LOL. 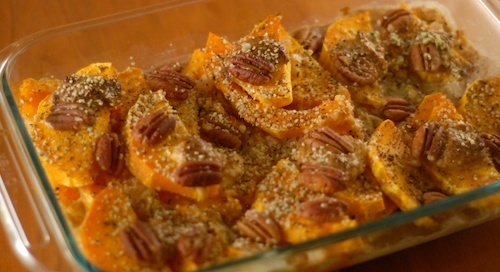 I do love butternut squash and this looks amazing! yum! Ahh, I love this! I’ve never actually cooked with ghee or pigeon peas, but I’ve always wanted to learn how to make this! <3 It looks delicious! Thanks Farrah! Ghee is nice because you can sauté with it without it scorching, unlike butter. Kimberly Hatting recently posted..Shall we RUNFESS? Thanks, yes, definitely eating our colors with this one. Sandra D Laflamme recently posted..The Friday Fresh LOOK! We’re like that around here with mushrooms. My husband and I love them but one of our sons doesn’t. While I like having him live at home, when he does move out we’re looking forward to eating more mushrooms. This sounds so good! It’s been ages since I’ve made dal. Thanks Anna! Give it a try! Legumes are so good for us: protein, fiber, antioxidants.